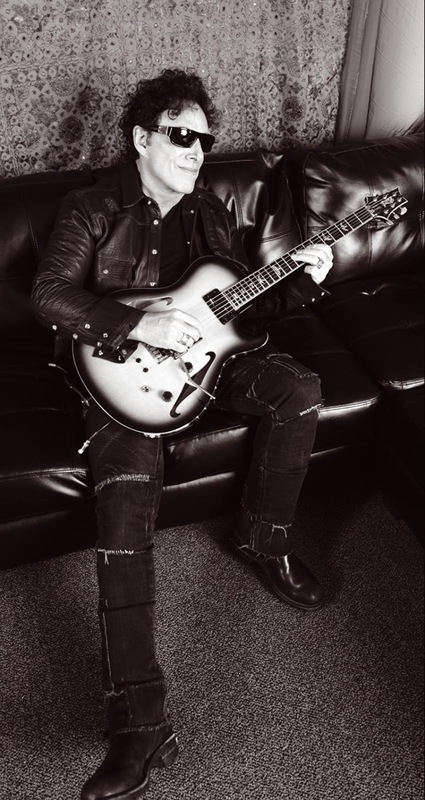 Neal Schon, founding member of the 2017 Rock n’ Roll Hall of Fame inductee group Journey and former Santana band-mate will play a very intimate benefit concert for North Bay Fire Relief on Friday, February 9th at The Independent in San Francisco. 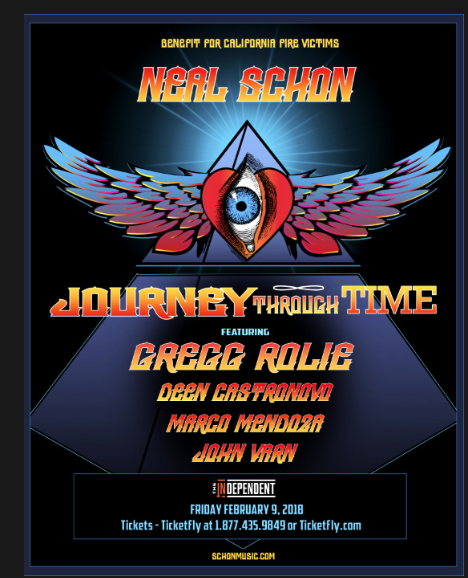 The performance, Neal Schon’s Journey Through Time, will feature original Journey and Santana member Gregg Rolie, as well as Marco Mendoza and former Journey member Deen Castronovo. Tickets for the event go on sale Friday, December 15th at 12:00pm PST, available here. 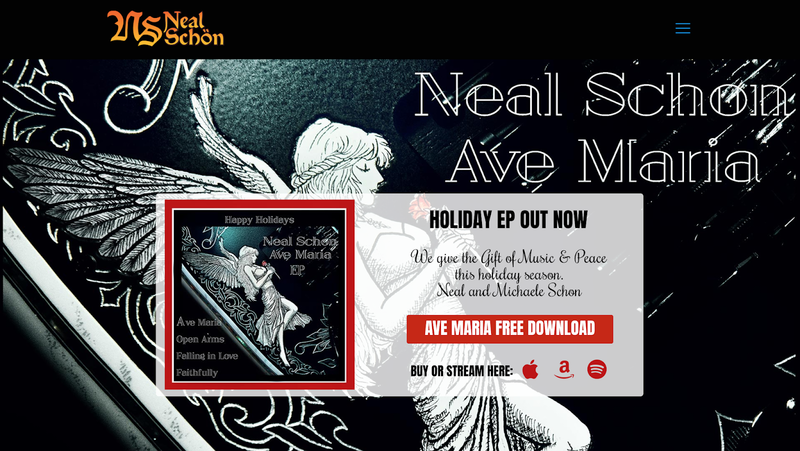 2017 Rock n' Roll Hall of Fame inductee Neal Schon has released his first ever holiday ep that includes "Ave Maria," "Can’t Help Falling in Love" and instrumental renditions of Journey hits "Open Arms" and "Faithfully". 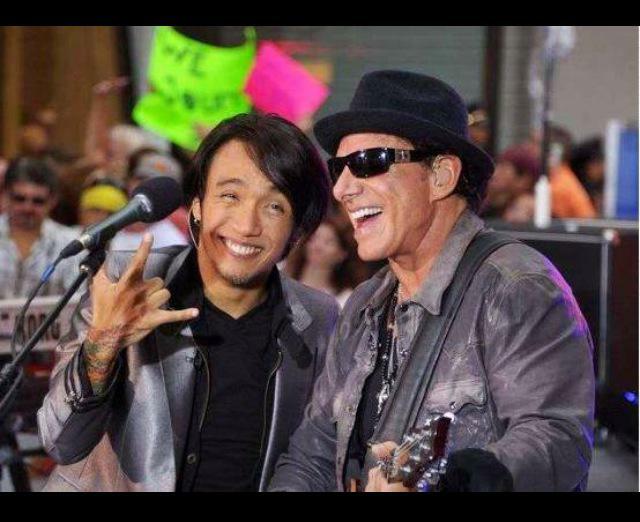 Schon founded Journey in 1972 and has been the only consistent member, having participated in every album and tour to date. 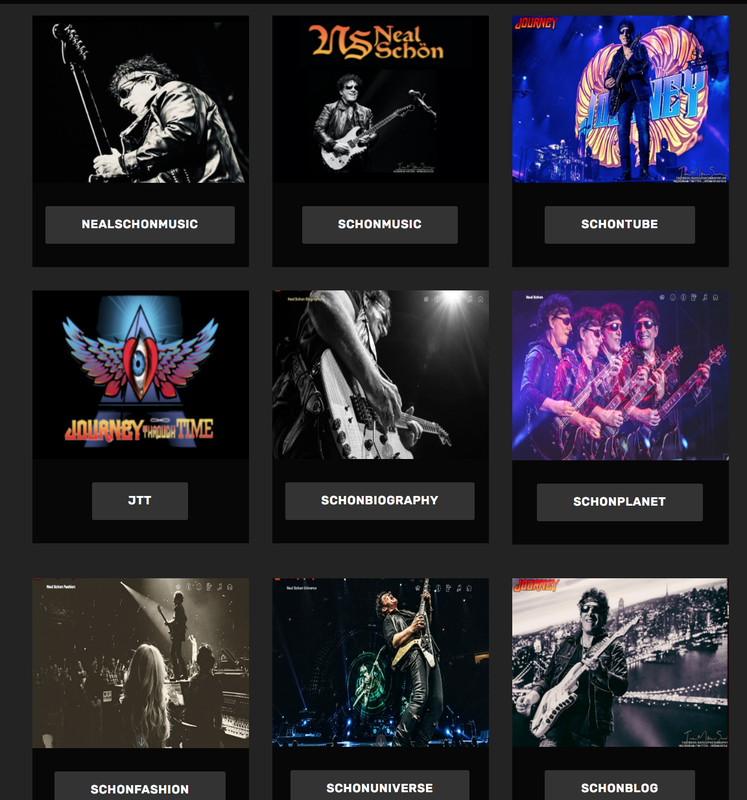 Schon is a Grammy-nominated guitarist, songwriter and vocalist who is not only the founding member of Journey, but was a member of Santana and has performed with a variety of other acts including Bad English, Jan Hammer, HSAS and has released 10 solo albums including his latest Votex. 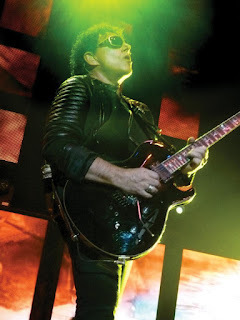 His guitar style has been described as soulful and melodic, admired by such fellow legends as Eric Clapton and Prince, who reportedly asked for Schon’s blessing to release "Purple Rain", which echoed a similar sound to Journey’s "Faithfully". 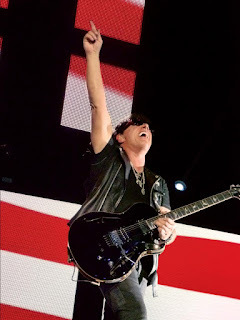 Journey’s worldwide sales have reached over 100 million records, making them one of the world’s best-selling bands of all time, with a wide selection of chart-topping hits like "Don’t Stop Believin­'", "Open Arms", "Lights", "Faithfully", and "When You Love a Woman", among others. We should have seen this one coming. Carlos Santana rocking it out at House of Blues at Mandalay Bay. Neal Schon doing the same with Journey at Hard Rock Hotel. Santana’s role as Schon’s mentor dating to Santana’s original band. 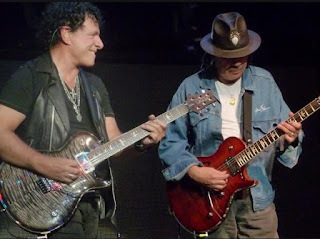 The recent reunion of two on the 2016 album “Santana IV.” All roads lead to … well, one of these stages. It happened to be House of Blues. 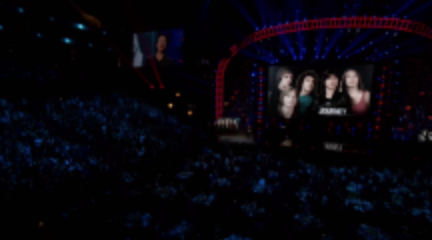 At long last, legendary American rock band Journey has taken their well-earned place in the Rock and Roll Hall of Fame, and many of rock’s top luminaries are enthusiastically celebrating the milestone from around the world. 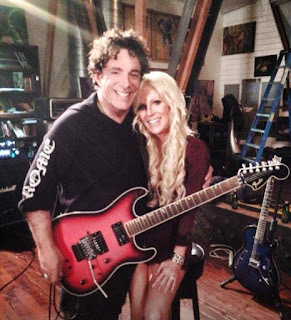 The Professor of Rock recently sat down with a number of rock and roll’s greatest icons to reflect and celebrate the incredible history of the still dynamic rockers and, in particular, original founder and guitar prodigy Neal Schon. 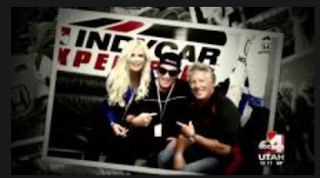 Story provided by Adam Reader, Professor of Rock as a special to Good4Utah. When I was six years old, I heard a song on FM radio while my mom drove me to school that shook the very foundation of my small soul. My story is no different than millions of other 80’s kids who heard the same song. It was an anthemic rock song that to my underdeveloped mind was about a train, street light people, (whoever they are), and to never stop believing. The part I remember most was that gigantic guitar sound that to my tiny ears felt exactly like the Incredible Hulk picked me up by my windbreaker and threw me a thousand feet. That was my introduction to Neal Schon and Journey. 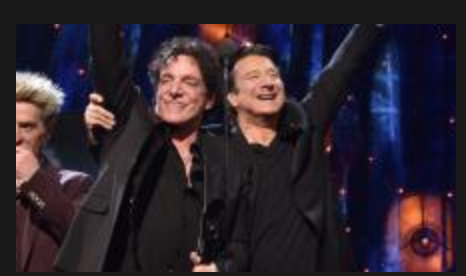 On April 7, Journey were among the honorees at the Rock and Roll Hall of Fame's 32nd annual induction ceremony at Barclays Center in Brooklyn, New York. 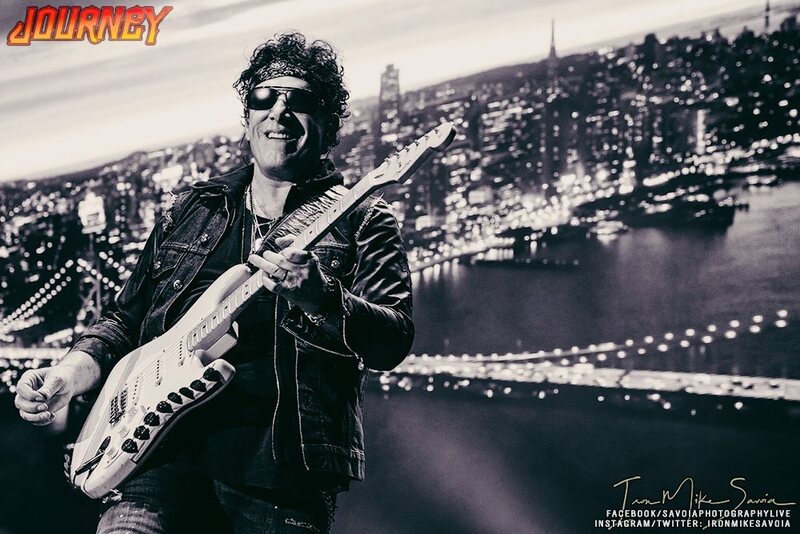 The event brought Journey—including longtime guitarist Neal Schon—together with their former singer, Steve Perry, who hasn't been a Journey man since 1998. "I choked up seeing everyone. 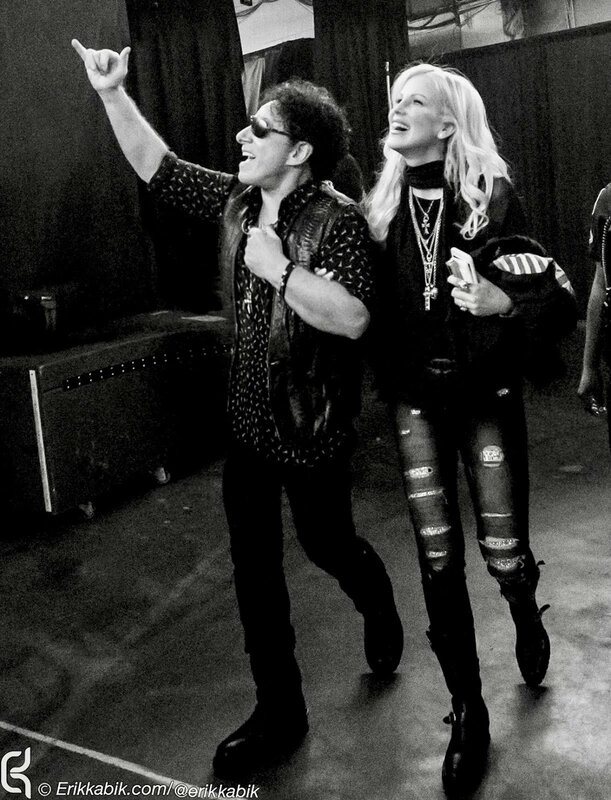 I had seen Steve backstage, and I got a great feeling from him that our friendship, respect and love was still there. So when we walked up to be inducted, he came up to me and we exchanged a hug. Then I was trying to get my composure back, and I decided I couldn't read my speech—even though I did like what I had written." 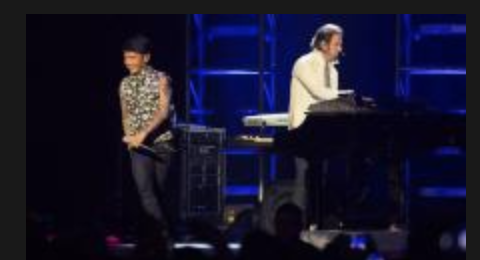 It was a vision that Journey fans have been fantasizing about for years: Steve Perry and Neal Schon standing side-by-side on an arena stage holding their hands up high in the air together and hugging like old friends. It took the Rock and Roll Hall of Fame to make this happen, but even that wasn't enough to get Perry to actually sing with Journey again. Still, Schon says the important thing was getting the friendship back on track. 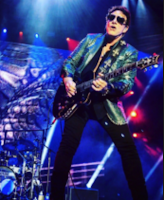 We spoke to the guitarist about the big night, what happened with Steve Perry backstage and where this could all go in the future. 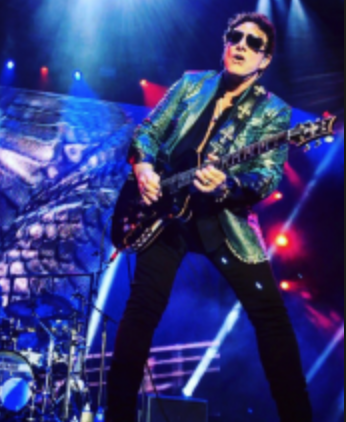 When you go to see a band that’s been around as long as Journey has, a band from your youth, it’s easy to get caught up in the past, to get lost in the memories. 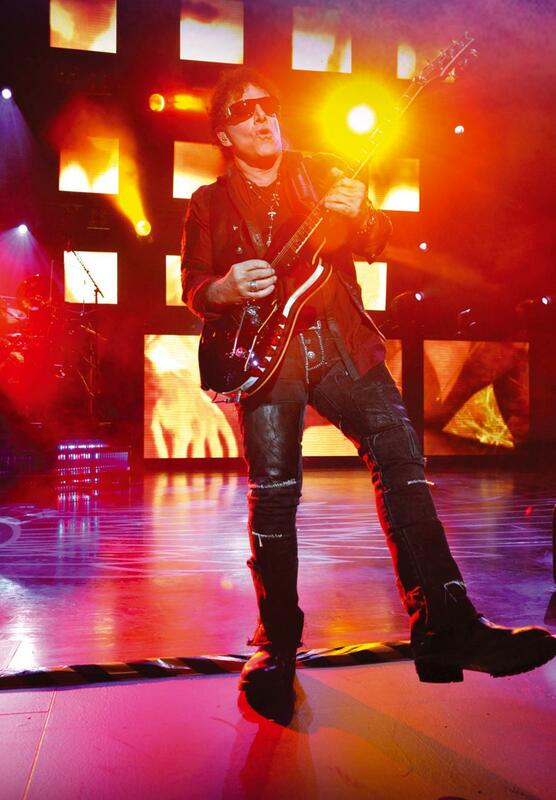 For example, take the first three songs from Thursday night’s sold-out show at the Blaisdell Arena. 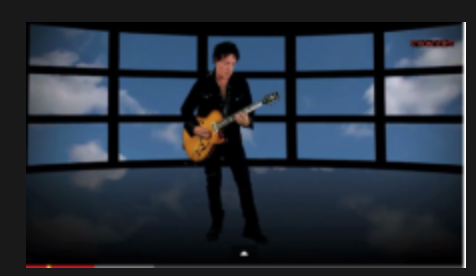 After an extended jam session, Journey tore into “Separate Ways (Worlds Apart),” which had one of the ‘80s’ signature, so-cheesy-it’s-great music videos. Next was “Be Good to Yourself,” which reminds me of my friend Milton, who died last month. Milton lent me the cassette it came from, 1986’s “Raised on Radio,” giving me my first LP-length exposure to the band. The icing on this birthday surprise was a chance for Schon to ride-along with Andretti in his Honda "fastest seat in sports" racer. Neal says it's a rush similar to playing on stage in front of 15 million fans. (New York, NY) – Guitar legend Neal Schön is enjoying great success at Classic Rock radio with his track "Serenity." 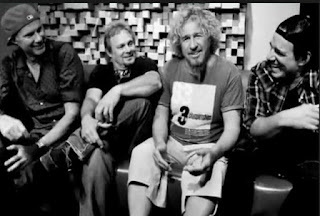 "Serenity" is comfortably seated in the Top 5 and has risen as high as #2, alongside such mainstays as Led Zeppelin and Tom Petty And The Heartbreakers; the song has been on the charts for 8 weeks. 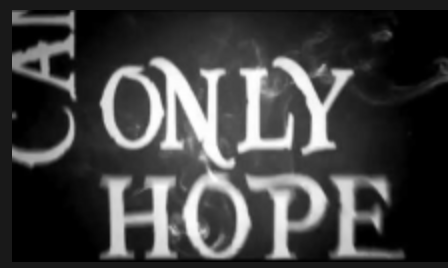 Check out the lyric video here. 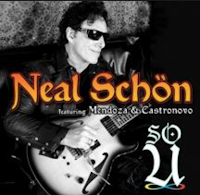 "Serenity" is taken from Neal Schön's latest album SO U, a jazz and blues-inspired hard rock studio album featuring Schön, bassist Marco Mendoza (Black Star Riders, Ted Nugent, Whitesnake, Thin Lizzy) and drummer Deen Castronovo (Journey, Ozzy Osbourne, Steve Vai, Hardline). 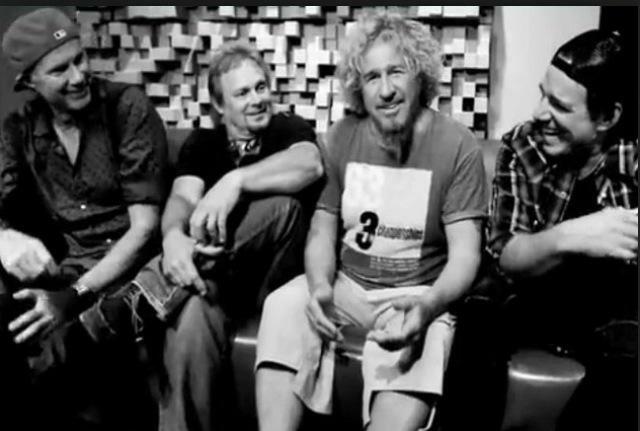 The three musicians split vocal and writing duties, with many of the tracks also co-written by Night Ranger/Damn Yankee’s songwriter, singer and bassist Jack Blades. The album is available now via iTunes, Amazon and via the Journey online store. 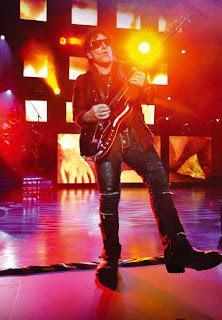 Of SO U, Ultimate Classic Rock raved, "SO U stands tall as one of the finest albums that Neal Schön has released to date. 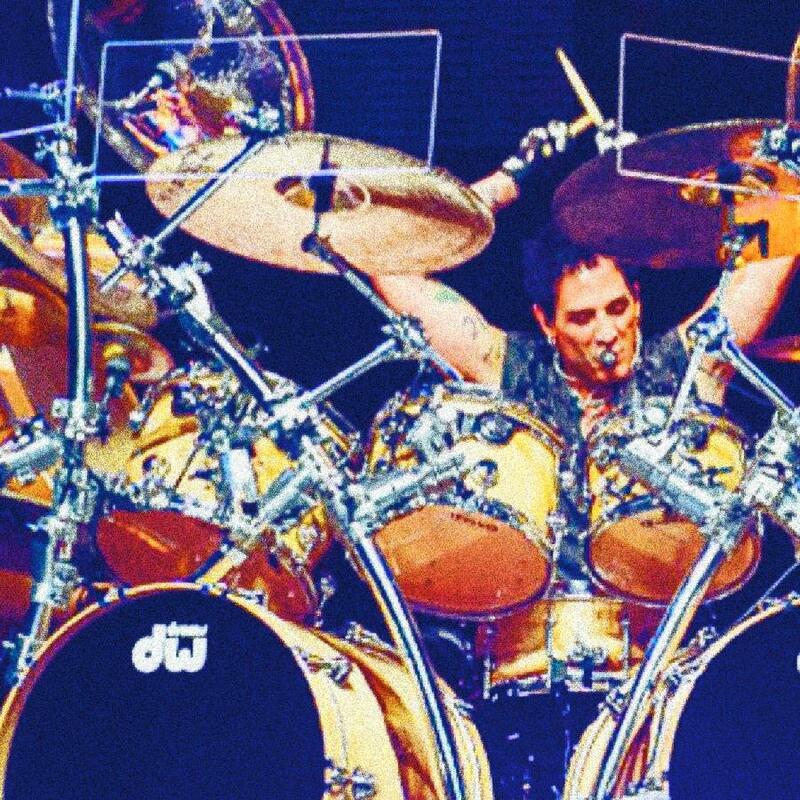 The combination of Schön with Deen Castronovo and Marco Mendoza is a potent triple threat which delivers on every level. 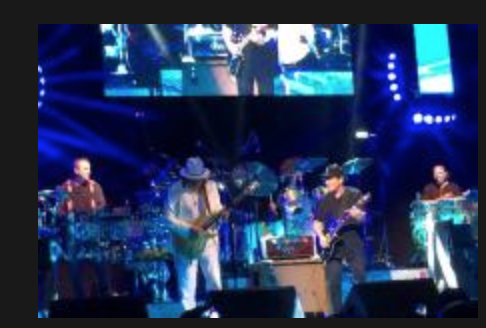 With nine tracks spread over 51 minutes, SO U never overstays its welcome and the typically diverse blend of material will strongly resonate with fans of Schön‘s previous work, most notably Santana and Journey. I’ll be standing by and waiting for a sequel." The album can be ordered now via iTunes, Amazon and via the Journey online store; those who purchase SO U now via iTunes will receive “Love Finds A Way,” “Exotica” and “Serenity” as instant gratification tracks! Neal Schon has been working nonstop since he formed Journey in 1973 and shows no signs of slowing down. Together with bassist Marco Mendoza (Thin Lizzy, Ted Nugent) and drummer Deen Castronovo (Journey, Ozzy Osbourne), the guitar legend put together a new album album, So U (out May 20), fusing jazz and blues together with hard rock. They premiere their music video, Love Finds a Way, exclusively with USA TODAY. (New York, NY) - Neal Schön fans can click here to check out the exclusive worldwide premiere of the video for "What You Want" on Ultimate Classic Rock. 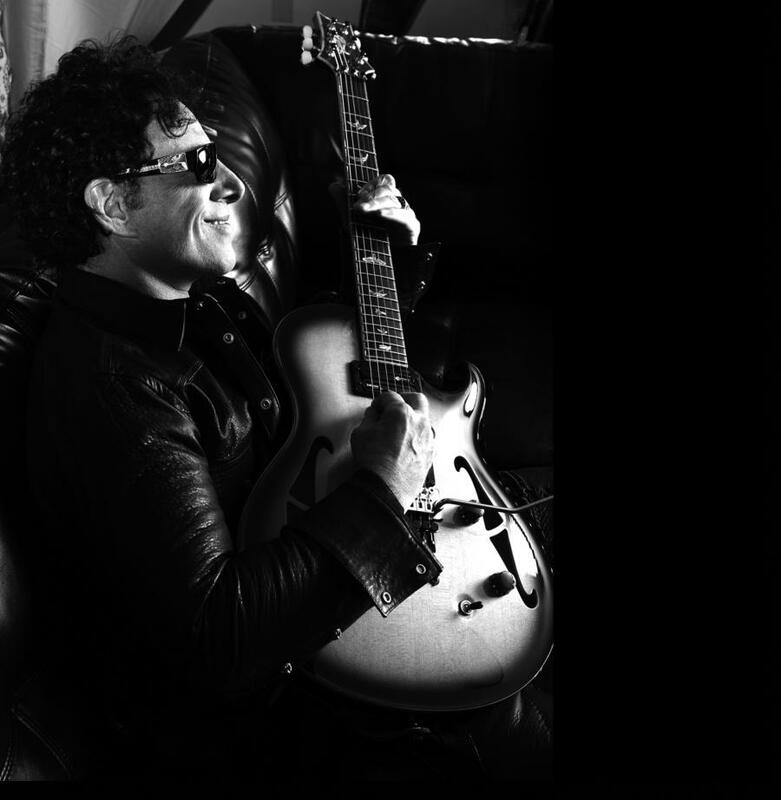 The smoking new track/video is taken from the forthcoming jazz and blues-inspired hard rock studio album, SO U, and includes vocals by bassist Marco Mendoza and Schön, as well as drummer Deen Castronovo. 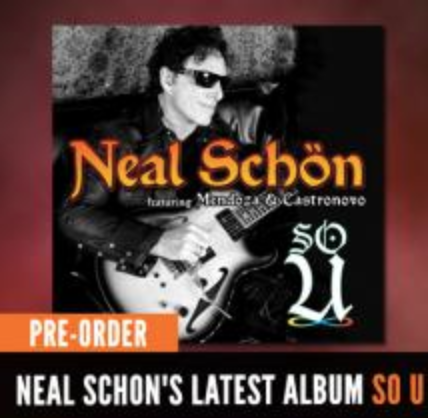 SO U features Schön along with Mendoza (Black Star Riders, Ted Nugent, Whitesnake, Thin Lizzy) and Castronovo (Journey, Ozzy Osbourne, Steve Vai, Hardline) splitting vocal and writing duties, with many of the tracks also co-written by Night Ranger/Damn Yankee's songwriter, singer and bassist Jack Blades. Of the new album, Ultimate Classic Rock raved, ""SO U stands tall as one of the finest albums that Neal Schön has released to date. 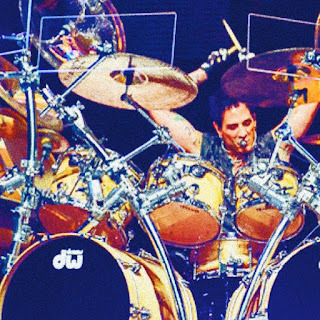 The combination of Schön with Deen Castronovo and Marco Mendoza is a potent triple threat which delivers on every level. 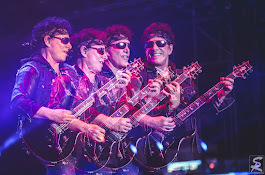 With nine tracks spread over 51 minutes, SO U never overstays its welcome and the typically diverse blend of material will strongly resonate with fans of Schön's previous work, most notably Santana and Journey. I'll be standing by and waiting for a sequel." SO U will be available on May 19th in North America via Frontiers Records. The album can be pre-ordered now via iTunes, Amazon and via the Journey online store; those who purchase SO U now via iTunes will receive "Exotica" as an instant gratification track.